With BBQ season here I have been searching for other things to throw on for a little more variety. Avocado is so easy and very good for you. It is very low in Cholesterol and Sodium and is also a good source of dietary fiber, vitamin C, vitamin K and Folate. Simply cut the avocado in half and discard the pit. Keeping the peel on, marinate the avocado in a little bit of sesame oil, fresh squeezed lemon or lime and any of your favourite spices. 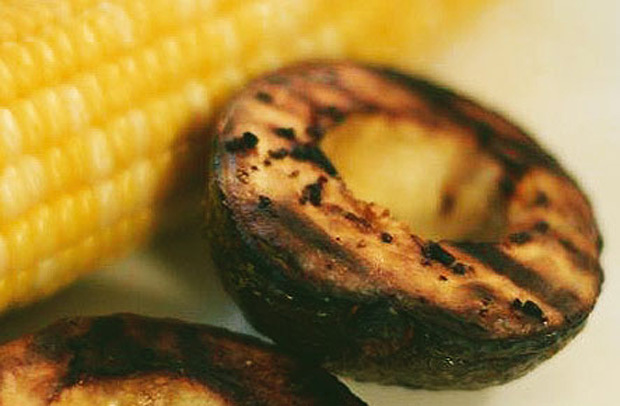 Place avocado cut side down on a heated grill and cook for 10 minutes. Serve warm with spicy tamarind sauce. For one average avocado there is about 13g of carbs, 22g of fat and 3g protein. Mmmmm so good!